The DISH Pro Plus (DPP) 500+ LNBF is a new LNBF for use in Western Arc (WA) installations that include core and international programming. The DPP 500+ LNBF uses DISH Pro Plus technology to simplify installations. Like the current DP 500+ LNBF, the DPP 500+ receives signal from the 110°, 118.7°, 119° and 129° orbital locations with the additional bracket and LNBF. The improvement to the new DPP 500+ over the DP 500+ is the integrated switch. The DPP 500+ supports up to 3 dual tuner receivers with no external switch required. 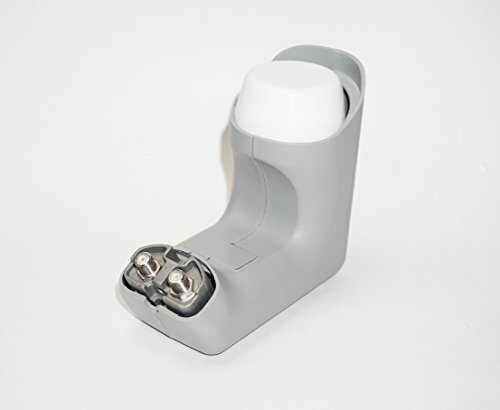 This "D shaped" Legacy Dual output LNBF is high gain, low noise and shock resistant. Great choice for 61.5, 72, 77,82, 91, 101, 110, 119, 129, 148 signals. Fits Dish 300 (need 1 LNBF) and Dish 500 (needs 2 LNBFs). Can also be used with Dish 1000 if you have the correct yoke (needs 3 LNBFs). 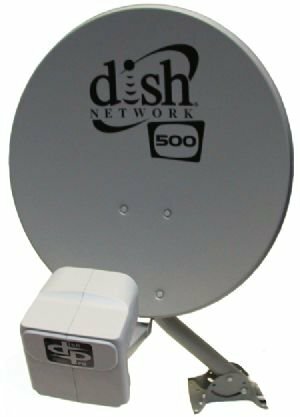 DISH Pro Plus Twin allows you to pick up to 2 satellite locations and distribute them to up to 2 Receivers, either single Tuner or Dual Tuner, Legacy or Dishpro. 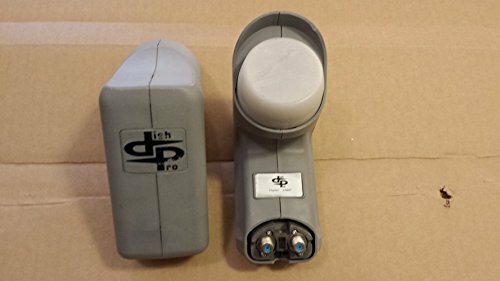 Use this item on a SECOND DISH to capture signals from a THIRD Dish Network SATELLITE such as the 110,129, 61.5° or 148° satellite and feed those signals into the plus port on the DishPRO Plus LNBF. 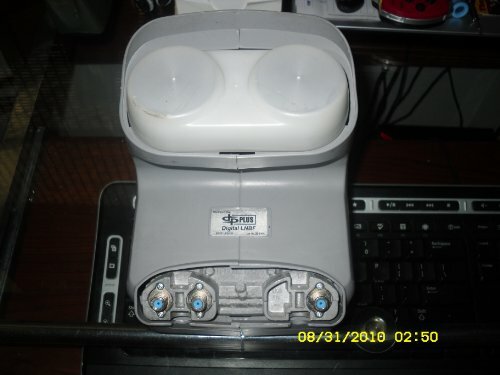 It can also connect to DISH Pro DPP44, DP34, or DPP33 switch, if needed. This "D shaped" ku Band Legacy Circular Dual output LNBF with Dual polarization. 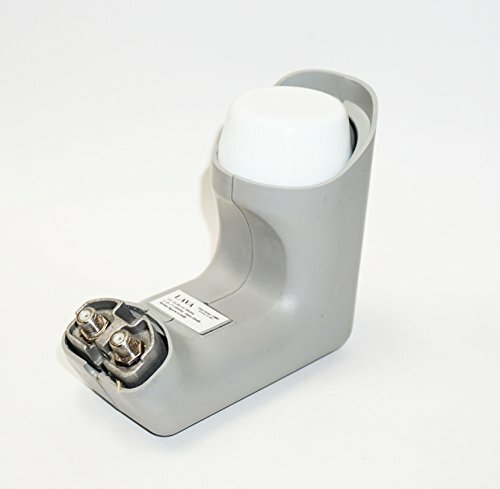 This LNBF is high gain, low noise and shock resistant. It works with all circular polarization ku band satellites. Great choice for 61.5, 72, 77,82, 91, 101, 110, 119, 129, 148 signals. Fits Dish 300 (need 1 LNBF) and Dish 500 (needs 2 LNBFs). Can also be used with Dish 1000 if you have the correct yoke (needs 3 LNBFs). 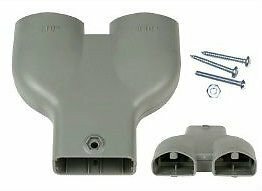 These Dish 500 LNB Bracket Y Yoke adapter will fit dual dp500, legacy, Dish Pro Dual LNB's, Twin LNB's, Quad LNB's. and direct tv's lnbs. These were manufacture in that way to fit the square type lnbs. Use for 119 and 110 receptions or bell express 82 and 91. Screws are not included. 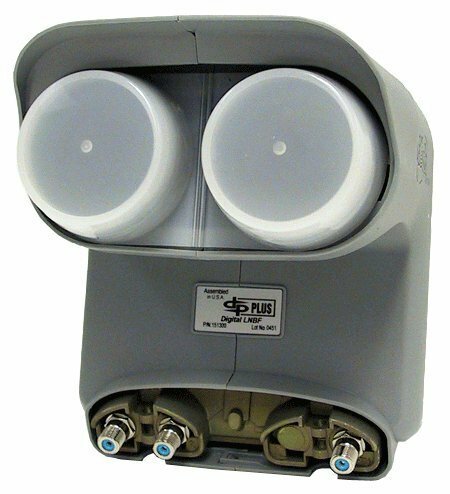 This converts a standard dish with a single or dual LNB to two single or dual LNB's. 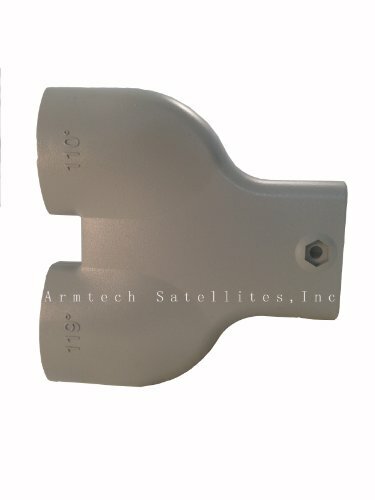 # Designed to be used with the DISH 500® Antenna. 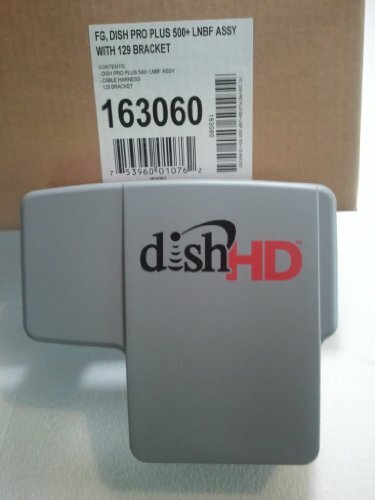 Use to capture signals from both Dish Network satellites (119º and 110º). 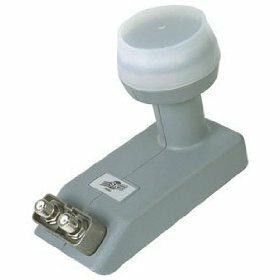 # The third port is used to collect and combine signals from a separate satellite dish antenna aimed at either the 61.5º OR 148º satellite (Round 18-inch dish equipped with a DISH-PRO LNBF is required). # Supports connection of up to two satellite receivers in any combination: * Single-cable connection to DISH Pro Plus (dual-tuner) receivers, when each is used with a DP Plus Separator. DP Plus Separators are sold separately. * Single-cable connection to two single-tuner DISH Pro receivers. * Single-cable connection to Legacy receivers, without a DISH Pro Adapter. # Includes an LNBF input port for reception from a third orbital location. * Allows connected receiver(s) to receive signal from three orbital locations (not available when two legacy receivers are connected). * Eliminates need for an additional switch for this three orbital location installation. # All necessary switches are built-in and weather-proof.